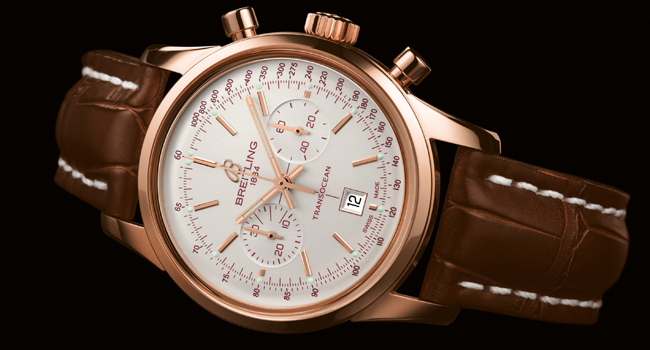 UAE, Dubai 3rd February 2013 – A tribute to the spirit of travel to distant lands aboard luxurious longhaul airliners, the Breitling Transocean welcomes a brand-new chronograph for women endowed with a distinctive blend of character and elegance. With its understated design and refined dials, the Transocean offers a resolutely contemporary stylistic interpretation of the aesthetic of 1950s and 1960s chronographs. A model of the fine workmanship and excellence, it has established itself as a new classic marrying prestige and distinction. Breitling is now enriching this exceptional collection with a 38mm-diameter ladies’ chronograph that lends a touch of character to any wrist, including the daintiest. 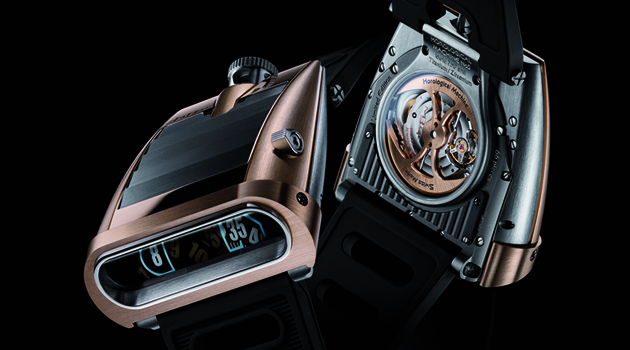 The case with its pure lines, accentuated by beveled bezel and slender lugs, comes in a choice of steel or 18K red gold. 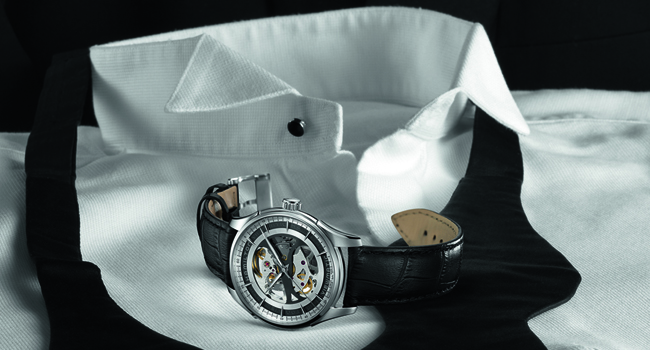 The meticulously crafted dials are adorned with applied hour-markers and hollowed counters featuring a spirit motif. They are available in three refined colors – deep black, glowing silver and a highly original midnight blue shade. The caseback is engraved with the two stylized planes that were a long time a Breitling symbol, as indeed was the initial B in 18K gold enhancing the dial. The Barenia or crocodile leather straps offer a broad choice of vivid or classic hues, while the steel mesh bracelet lends a touch of boldness and sophistication. A paragon of elegance, the Transocean Chronograph 38 also boasts outstanding performances thanks to a self-windingchronograph movement chronometer certified by the COSC (Swiss Official Chronometer Testing Institute), the highest benchmark in terms of precision and reliability. 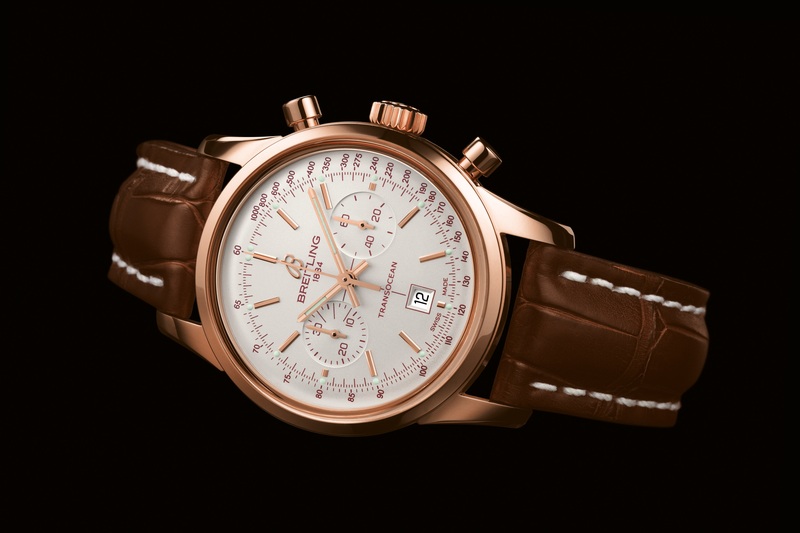 Transocean Chronograph 38: First-Class femininity. 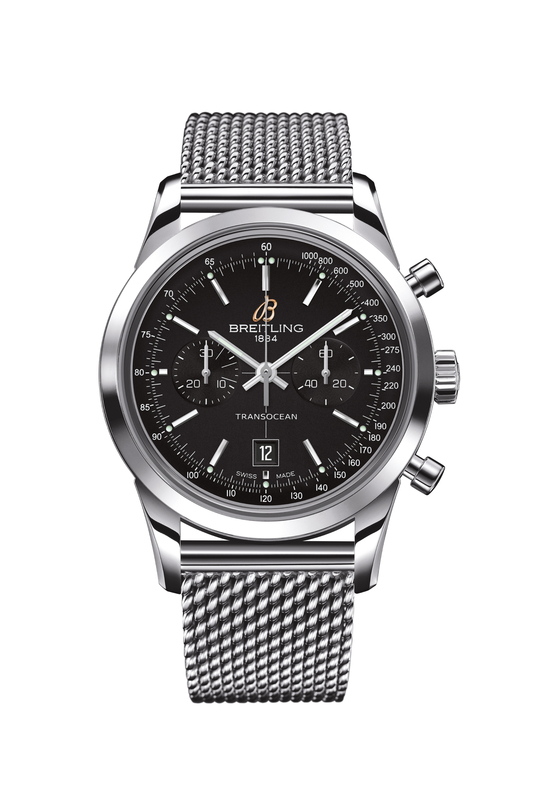 Movement: Breitling Caliber 41, officially chronometer-certified by the COSC, selfwinding, high-frequency (28,800 vibrations per hour), 38 jewels, 1/4th second chronograph, 30-minute totalizer. Calendar. Case: steel or 18K red gold. Water-resistant to 100m/330 ft/10 bars. Convex sapphire crystal, glareproofed on both sides. Diameter: 38 mm. Dials: black, Midnight blue or Mercury silver. Straps/Bracelet: Barenia leather, crocodile leather/Ocean Classic (steel mesh, on the steel version only).